If you’re like us and believe that Sydney’s independent artists are our cities greatest asset, come join the Fringe Family! 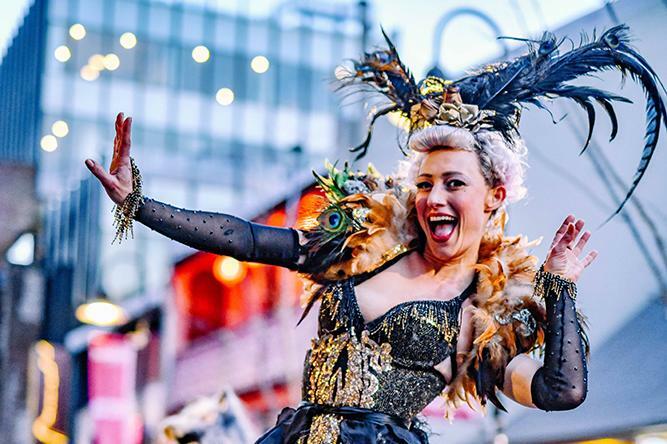 2019 marks a decade of Sydney Fringe we’ve achieved a lot but there is so much more to do. Help us make this next decade our most vibrant, exciting and fun yet. We are currently running a matched funding campaign thanks to the fine folks at creative partnerships australia, so your donation will be matched dollar for dollar! Join our fantastic Fringe Family of artists, creatives, ground breakers, boundary pushers, instigators and advocators. Help us support the next generation of Sydney’s culture creators and together build a vibrant, diverse and exciting night-life. Your support helps us activate more space and continue to champion emerging artists and producers. The funds raised through this current campaign will enable us to employ a full-time Development Manager to reach our goal of fundraising $2million dollars over the next three years to ensure more artists, more audiences and more venues can take part in Sydney Fringe for many more years. The Sydney Fringe has Deductible Gifts Recipient status and all donations over $2 are tax deductible. Choose from one of the below donations or enter your own! Our Founding Donors have brought their friends and family into the fold, raising additional funds to support the next generation of independent artists and the vital year-round work Sydney Fringe undertakes to activate space for the performing arts and creative industries of Sydney. As part of the Director’s Circle our Founding Donors influence and contribute to the greater vision of Sydney Fringe, are passionate about investing in the cultural life of Sydney and determined to ensure that Sydney remains a great global city recognised for its cultural offering. Your contribution enables us to activate more space more often to nurture the next generation of culture creators. Building a more sustainable future for independent artists and directly contributing to the cultural vibrancy of our city. In 2018 Sydney Fringe activated over 30 temporary performances spaces as part of our festival. Help us appropriate and activate vital unused and underutilised space for local artists and audiences. Your investment helps us to create new and vibrant events, activations and performances. You might not be able to hang it on your wall but your support directly contributes to the creation of new works by new artists and you will own it for a moment come festival time in September. We welcome your support with open arms in a warm family sized hug. Don’t underestimate the power of a small donation, a little goes a long way in the independent arts world and your contribution makes a huge difference to our day to day operations. The Sydney Fringe: Building the cultural entrepreneurs of tomorrow to support the enrichment of life for everyone.